Welcome to the premier Santa Cruz GMC service and repair shop - Goodyear Tires & Auto Repair. We are your one-stop GMC repair shop – from tires, manufacturer recommended maintenance, oil service, to complex diagnostics and repairs. We employ nationally ASE certified technicians who will treat your GMC as if it were our own. Servicing your GMC with Goodyear Tire & Auto Repair keeps the GMC factory warranty in force. Goodyear Tires & Auto Repair can offer wide assortment of tires, but also advanced diagnostics and repairs, but also routine maintenance services, including oil changes, brake pad replacement, water pump repair/replacement, struts,brake repairs, air conditioning repair, transmission fluid flush, fuel pump repair, shocks, electrical system repair, check engine light diagnostics, evap leak, oil leak, transmission repair, and a host of other services and repairs your GMC may need. Our ASE certified technicians have the latest tools and advanced training to repair your GMC. Yet, one of the best things you can do for your vehicle is an oil change. Engine oil not only lubricates but also removes gunk and dirt, even small metal shavings that would otherwise damage your engine. Oil filter, which catches all this gunk needs to be changed regularly as well. Doing so will greatly extend engine life. Whenever you bring your GMC to our Santa Cruz auto repair shop, we perform belt and hoses inspection, which often allows us to catch impending problems before they develop into serious breakdowns. Let our ASE certified mechanics service your GMC, and keep it in top shape. Setting up an appointment is easy. 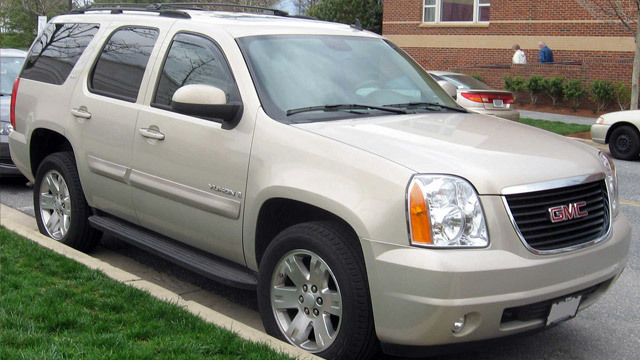 Whether you drive GMC Denali, Acadia, Yukon orSierra, you can count on our certified mechanics to take good care of your vehicle. So give us a call, or you can set up an appointment online if you find it more convenient.